Kid's love feeling like they're doing exactly what the grown-ups do. So giving them a little table of their own is perfect for their imagination and growth. 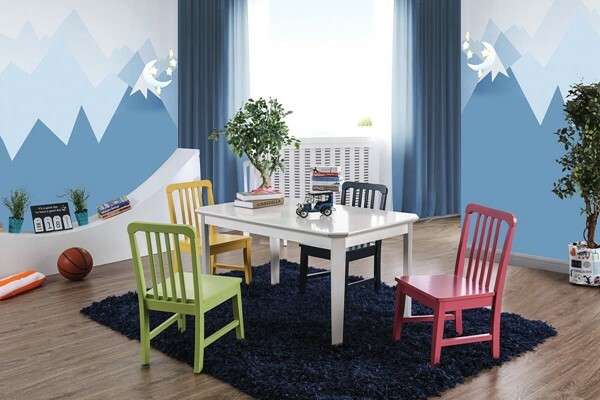 A simple table design with trimmed corners makes it safe for children to be around. Four accompanying chairs each with their own color means everyone gets a designated seat when it comes time to eat or play. Seat Depth : 13 5/8"
Seat Height : 14 1/4"